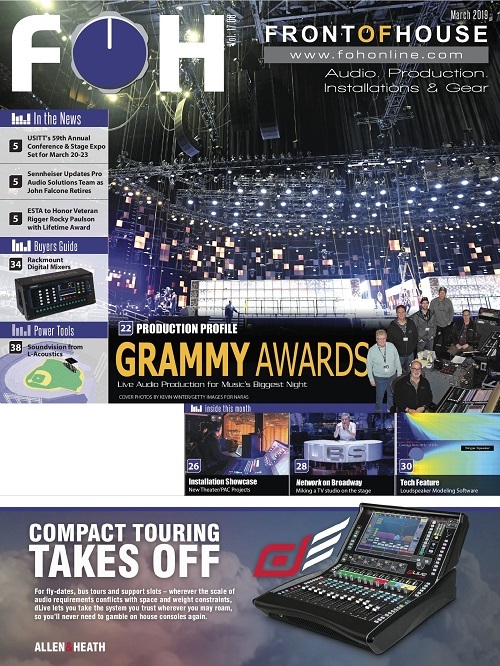 Originally designed as a “cue-mix” system allowing performers in a recording studio to control what they hear in their headphones, personal monitor mixers have moved out of the studio and onto live stages everywhere. 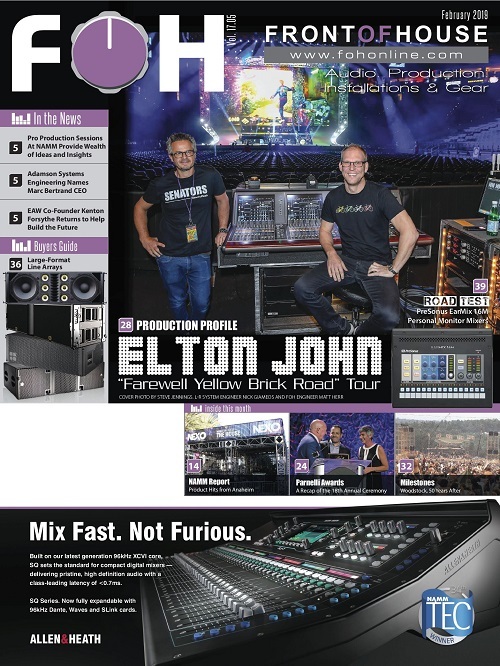 Popular in houses of worship and other performance spaces, personal monitor mixers take the burden off of the FOH engineer by giving performers control of what they hear. Digital technology has made these systems easy to use and affordable — a far cry from the earlier studio cue mix system designs. 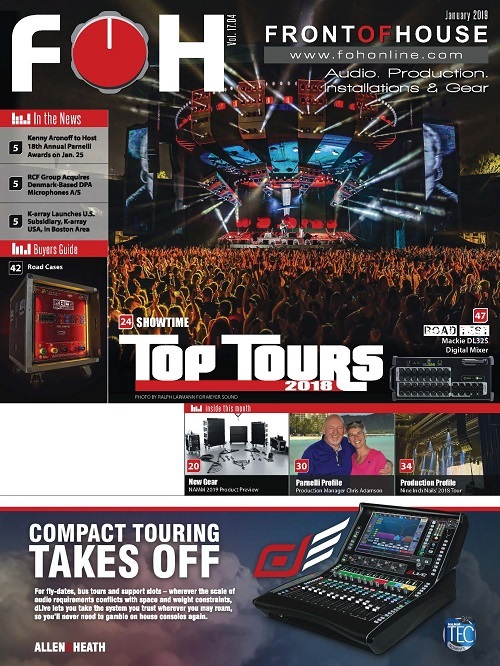 Building on the success of the company’s original Hear Back personal monitor system, Hear Technologies has improved its 8-channel Hear Back system while maintaining an easy to operate personal mixer. 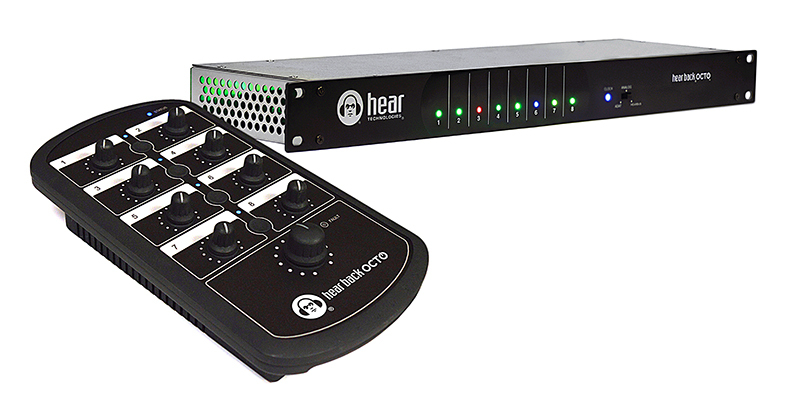 A basic Hear Back OCTO system combines a central Hub and one to eight OCTO Mixer controllers. 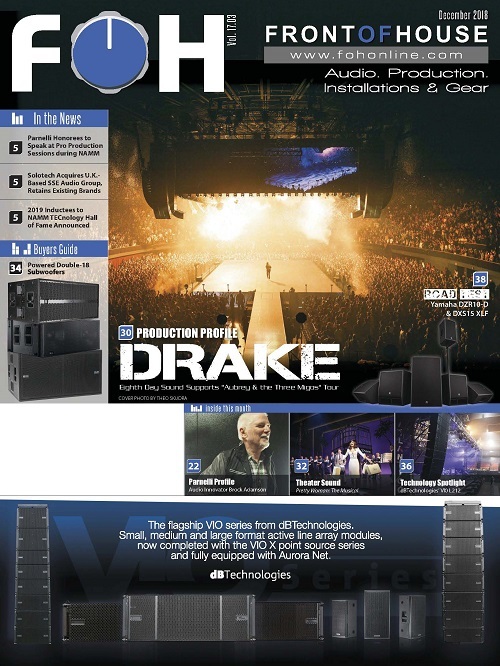 A basic Hear Back OCTO system consists of an OCTO Hub and up to eight OCTO mixers. Each mixer connects to the hub using a standard Cat-5e cable. 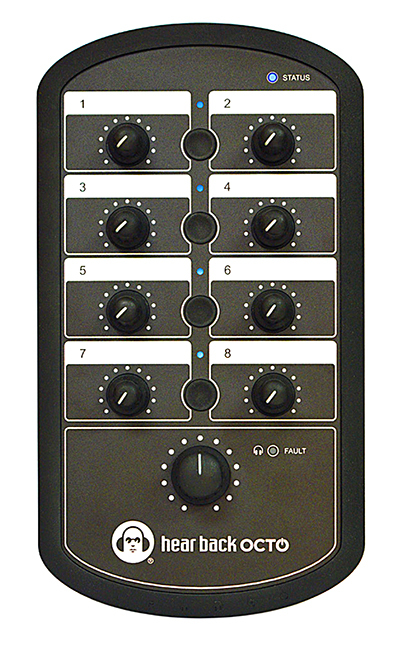 A set of HearBus ports on the hub allows an almost unlimited number of hubs to daisy-chain together, expanding the total number of eight-channel mixers in a system. The Hub accepts analog audio signals via a DB25 connector (wired in the TASCAM DA-88 analog standard), an optical port (ADAT lightpipe) or the HearBus Port. A front panel switch on the hub selects which input is active and multicolor LEDs on the Hub provide visual indication of input signal level. (I’m seeing more manufacturers using these multicolor LED’s as space-saving replacements for traditional LED bar graph metering as improvements over simple peak signal lights). 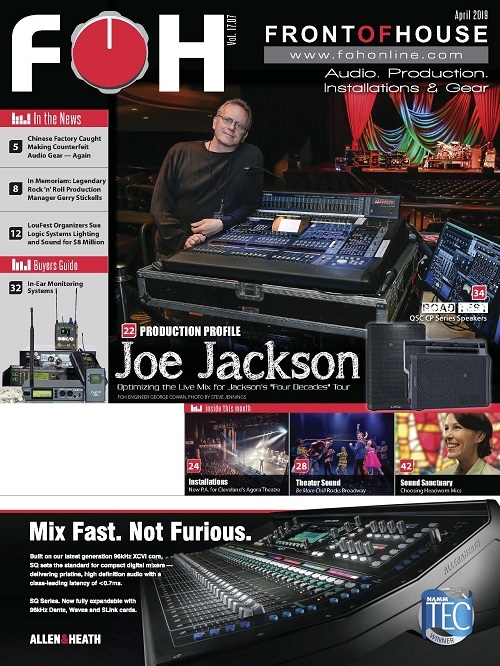 Eight “Mixer outputs” on RJ-45 connectors deliver digital audio, ground and DC power to the connected OCTO mixers. A solid-state automatically resettable fuse on each mixer output prevents power supply damage from a shorted cable or broken mixer. Each mixer is home run back to the Hub and up to 200-feet of standard Cat-5e cable can be used between the hub and mixer. Additionally, a HearBus output port sends the audio signals to another hub for system expansion. Rugged and designed for ease of use, the OCTO Mixers are constructed of UV-stabilized ABS and incorporate a built-in standard (5/8” x 27-thread) mic stand mount. Individual level controls for each of the eight input channels are provided along with a master volume control for the mixer. Capacitive touch buttons with LED status indicators allow odd/even channels to be stereo linked. A bi-color LED indicates HearBus Clock signal presence and a red LED illuminates if the headphones have a shorted connection. Large “scribble strips” on the mixer let users label each input control using dry-erase markers or P-touch-type labels. Set up was quick and easy. Using the DB25-to-TRS cable, I connected channels 1 and 2 to a stereo aux send on my console (overall band mix) and patched channels 3-6 into the direct out connectors on each of my vocal channels. I ran a Cat-5e cable from the Hub to each OCTO Mixer. Since this was more of a live “session” gig in my studio performance space, I gave each vocalist a set of headphones and an OCTO Mixer. After a few minutes of instruction on using the individual channel controls to configure the “mix” and using the master to set the overall headphone level, we were underway. One of the things I really like about the Hear OCTO system is the simplicity of use for the performer. Unlike some personal monitor systems that offer multitudes of adjustable functions, menu driven parameters and multi-function controls, the Hear OCTO system is simplicity at its best. Pick a knob, turn it, create your mix… It allows the performers to concentrate on their performance without being intimidated by the technology. I next set the OCTO system up with my DAW interface using the ADAT lightpipe input. Again, setup was quite simple. In fact, it took more time to route the DAW signals to the ADAT output on my interface than to connect and configure the OCTO system. Once I had signal flowing, I experimented with different headphones and earbuds (I have quite a collection…) for some in-depth listening. In all cases, the signal from the OCTO Mixer was clear, clean, detailed and… loud! The OCTO Mixer has easy-to-use controls and a mic stand mount for convenience.  So, What’s the Take-Back? The Hear Back OCTO system was absolutely one of the easiest to use and set up personal monitoring systems for both myself and the performers using it. Audio performance excelled on a wide variety of headphones and there was no discernable latency. I liked having both 1/4” and 1/8” headphone connectors on the mixer, and I was not put in a position of needing to supply those ever-disappearing adapters. For the non-technical performer, the OCTO Mixer’s front panel was intuitive and non-threatening, making it an ideal choice for wide variety of applications. True, it is limited to eight mixable sources (note that each of these can be a subgroup feed, such as keys, drums, horns, etc.) and this may be a limitation to some users, but of course for those applications, the company’s larger Hear Back PRO system fits the bill. Perhaps best of all, the expandability offered by the HearBus enables the user to grow their system as needed. Start with a few OCTO Mixers, as more as your needs or budget grows. Monitoring solution that brings pro quality fingertip monitor control to bands, churches and other users seeking an improved listening environment to musicians and performers — at a down to Earth price.